Australia’s second largest city, Melbourne is one of the world’s most liveable cities, and draws visitors from all over the globe with its elegant European feel, convenient and reliable public transportation, wide array of delicious gastronomic offerings, and wealth of exciting attractions. With year round festivals and events, there is always something happening in Melbourne. 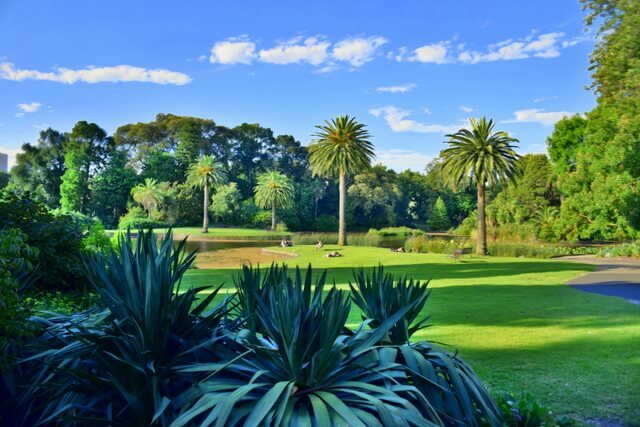 Whether you fancy watching sports, enjoying loads of entertainment options, or simply want to relax in beautiful gardens, Melbourne makes for the perfect holiday no matter what your personality is. With so many attractions in Melbourne to choose from, your best option is to purchase a Melbourne iVenture Card which gives you access to a wide range of Melbourne’s top experiences at a huge discount. You have the choice between picking up a Flexi Attractions Pass or Unlimited Attractions Pass. The Flexi Pass option has three purchase options where you can enjoy 3, 5, or 7 of Melbourne’s top attractions. Purchase the Unlimited Pass option to fully enjoy all Melbourne has to offer. Whichever pass you choose, you’ll be saving upwards of 40% off attraction entry fees, tours, and Melbourne sightseeing. Here are some of Melbourne’s top attractions and experiences you must experience. Open from 10am to 10pm daily, the Eureka Skydeck offers an incredible experience some 285 metres up in the air. Take the Southern Hemisphere’s fastest elevator trip to the top of Australia’s tallest skyscraper (excluding spire). Whether you pay a visit during the day or night, you are sure to be rewarded with an incredible skyline. 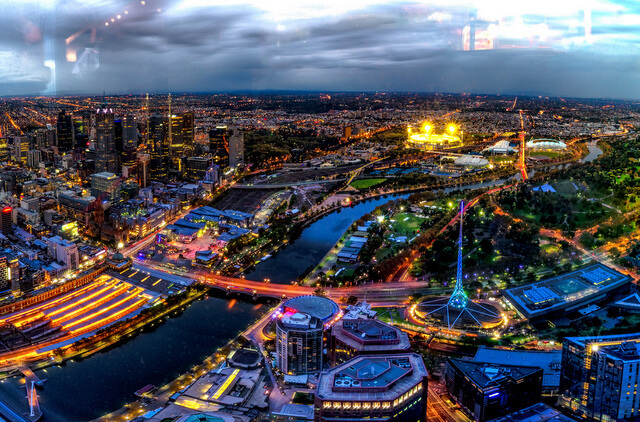 Enjoy 360-degree panoramic views of Melbourne and all its attractions. An attraction in its own right, you can face your fear of heights with the Edge Experience where you will be suspended nearly 300 metres above the ground in a glass cube. Also available is the option to have a photo taken where it looks like you are falling or hanging on for dear life from the top of the tower with Eureka’s Vertigo green screen installation. Admission to the Eureka Skydeck is free with the iVenture Card, and you also receive 25% off the Edge Experience. Melbourne is known as the Garden City of Australia and a trip to Fitzroy will show why this is true. Located in Eastern Melbourne, this beautiful lush Victorian Era garden area provides wonderful photography opportunities as well as relaxation. 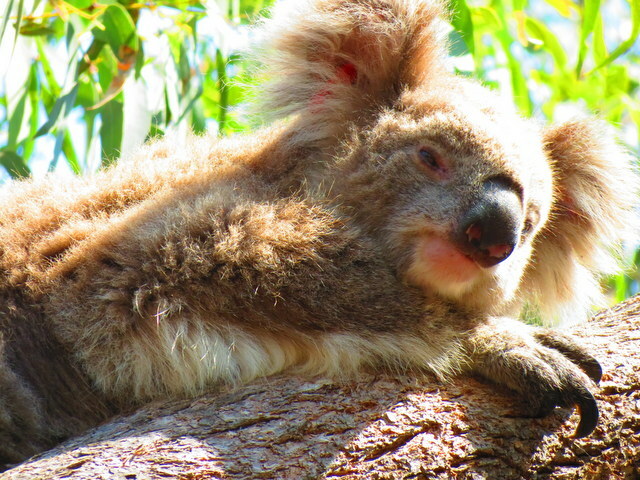 Enjoy Australian wildlife as well as over 150 years of history including Cook’s Cottage. Here you can tour Australia’s oldest house which was built in 1755 and then shipped from England brick by brick to be reconstructed in Melbourne. Admission to Cook’s Cottage is included with your iVenture Card. 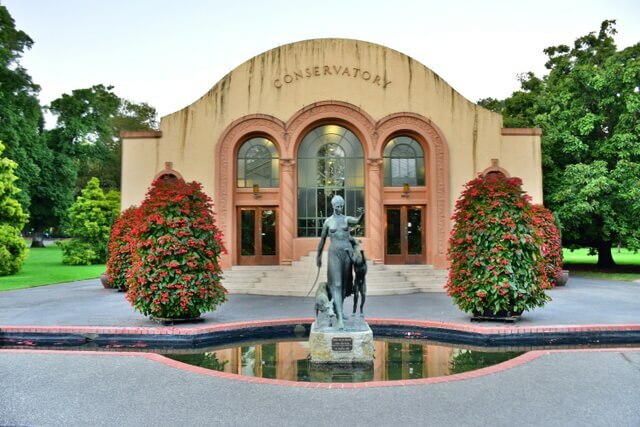 Other attractions within the gardens include the Spanish style conservatory as well as an Aboriginal scarred tree. Feel as though you have been transported to Las Vegas albeit with far more class and elegance. Located on Melbourne’s Yarra River, the casino and resort complex covers two city blocks which makes it the largest and most grand complexes of its type in the Southern Hemisphere. And, beating out the likes of Uluru and the Sydney Opera House, Crown Melbourne is consistently listed as Australia’s most visited tourist attraction, welcoming an estimated 17 million visitors per year. Above the pokies for which is is famous, and a huge selection of games, there are three hotels within the complex (Crown Towers Melbourne, Crown Metropol and the Crown Promenade), as well as two restaurants by world famous Chef Gordon Ramsay, and a huge range of entertainment (live theater, concerts, bars and nightclubs, and even a sports hub). To fully appreciate all Crown Melbourne has to offer, booking an extended stay at Crown Towers Melbourne is a must. You will be blown away by the incredible service and sheer opulence from the moment you check in. A recipient of a Forbes 5 star rating, Crown Towers Melbourne offers the most stunning accommodation Melbourne has to offer, perfectly positioned within walking distance to many of Melbourne’s finest restaurants and top attractions. Enjoy breathtaking views from your generously sized room as you are treated to luxurious furnishings, a large modern and elegant bathroom, and the finest in technological and toiletry offerings. Crown Towers Melbourne is truly deserving of 6 star status in my book. Crown Towers Photo Gallery. Click to Enlarge. Walk the halls of which held Australia’s most notable criminals including the much loved and despised Ned Kelly. It is here where Ned Kelly would eventually be hanged along with well over 100 others from the gaols operation from 1842 to 1929. For a truly eerie experience, a night tour or Hangman’s night tour is sure to bring chills and excitement to your gaol experience. Your iVenture Card allows standard access to the Old Melbourne Gaol. Experience some of Australia’s most iconic native wildlife like the Tasmanian devil, platypus, and wombat as well as rare and endangered international species. There is the option for close up encounters with giraffes, lemurs, meerkats, and more. Walk along an elevated boardwalk to witness orangutans or head into the Reptile or Butterfly Houses. Entry to the Melbourne Zoo is included with your iVenture Card. Offering an incredible dry underwater experience, the Sea Life Aquarium is not to be missed. Witness sharks, massive rays, and a host of other strange and majestic underwater creatures which swim inches behind glass panels which in some areas completely surround you including overhead. In addition to witnessing a wide array of underwater wildlife, you will also come face to face with exotic rainforest reptiles and amphibians, a giant saltwater crocodile, and even penguins. There is the option for a shark diving experience as well as King and Gentoo Penguin encounters. Enjoy aquarium access and discounts on optional experiences with your iVenture Card. Go behind the scenes of Australia’s largest stadiums and one of the World’s Top Ten Largest Stadiums. It is home to the Melbourne Cricket Club and the finest AFL stadium where the annual Grand Final is held. A tour includes the MCG Long Room, library, cricketers’ viewing room, player changing rooms, and of course a walk on the mighty arena. MCG tours are an included option with your iVenture Card. Literally the coolest bar in Melbourne, the IceBar is the only one of its kind in all of Australia. Enjoy a bar where everything is literally iced. You’ll be given a warm cape and gloves to brave the -10 degree temperature. 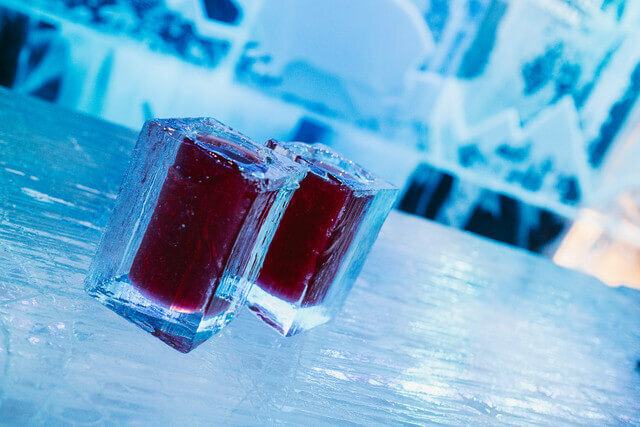 Best of all is there is no time limit for your IceBar experience. This year IceBar Melbourne challenges you to see how long you can last in the frigid bar. The winner will gain fame by being featured on IceBar’s website and social media pages. Standard entry, your warm gear, and a drink are included with your iVenture Card. 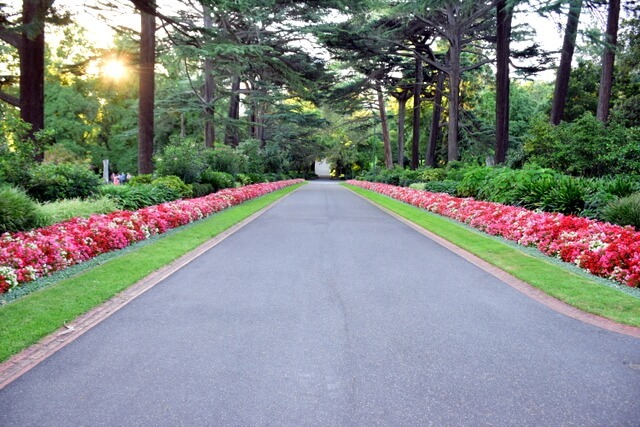 The Royal Botanic Gardens is one of Melbourne’s most visited attractions seeing some 1.5 million annual visitors. The gardens are a popular place where both locals and visitors can enjoy outdoor recreation and a relaxing natural environment. 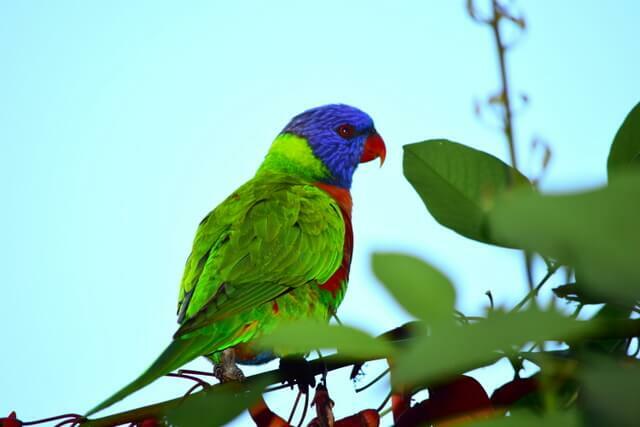 The gardens are a great place to see and learn about over 50,000 plants and enjoy bird watching. Enjoy a variety of lakes and ponds as well as Guilfoyle’s Volcano water reservoir. The lakes and plants provide habitat for a wide variety of animals and make for great photography opportunities. Pavilions scattered throughout the gardens provide shelter from the midday sun and rain. The 2018 Australian Open tennis tournament which saw Roger Federer take home another Grand Slam victory, may be over but you can still experience all the tennis magic with a Rod Laver Arena Tour. Daily tours allow visitors to gain access to player changing rooms, the Walk of Champions, Davis Cup Room, the media theatrette, and more. Note that tours may not be available during Tournaments or redevelopment projects. An arena tour is included with your iVenture Card. Drive: It may be cheaper to rent a car in Melbourne than to pay for a cabs (especially as the airport is 50 minutes away). If driving in Melbourne we highly recommend a GPS to navigate the city’s one way streets. Crown Melbourne has undercover parking for $16 a day. Bike: Get around Melbourne cheaply by bike! Melbourne Bike Share has over 600 bikes located at 50 stations around Melbourne, and charge $3 per day. Stay: Crown Towers Melbourne offers the most stunning accommodation Melbourne has to offer, perfectly positioned within walking distance to many of Melbourne’s finest restaurants and top attractions. ➡ Check availability. Play: The iVenture Card Melbourne will end up saving you upwards of 40% off attraction entry fees, tours, and Melbourne sightseeing. ➡ Buy Now. If you enjoy getting social, you can follow their journey on Facebook, Twitter, YouTube, Pinterest and Instagram. Fitzroy Gardens looks awesome Meg. I love green cities, or cities heavy on gardens. Up my alley. This is why Kelli and I do many Upper East Side and Upper West Side sits in NYC; next door to Central Park, a big old garden in one of the world’s most dazzling cities. We really enjoyed spending an afternoon in Fitzroy Gardens – it’s a very peaceful place, and so wonderful to have such access in the middle of a big bustling city! House sits in New York next to Central Park sounds amazing – that’s the ultimate city garden right there! We are sorry we missed Melbourne when we visited. More so after reading this post! I am glad you feel that the Melbourne iVenture card gives value. This has not always been the case when we have got city cards before. I would definitely want to visit the Melbourne Zoo and see unique local animals like the Tasmanian devil, platypus, and wombat. 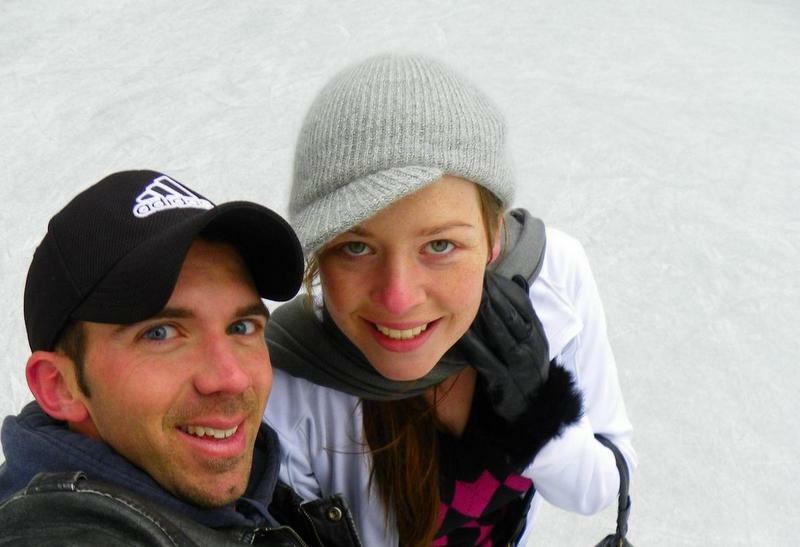 We always wanted to try an Ice Bar – surprised that there is one in Melbourne. I was also surprised to hear you say that renting a car is a good option. Not true in so many cities. Thanks for the tease! Just means you have a fabulous reason to plan a return trip to Aus :) Yes city cards can be hit or miss, and you do need to look at the attractions on offer to make sure they actually bring value. iVenture for Melbourne is great though, it covers some really expensive attractions; the Sealife Aquarium itself was $45 per adult, so definitely comes in to save money in this case. Fabulous to hear it! Well you’ll definitely have to make it to Melbourne if you’re visiting each of the world’s ICE Bars :D But can highly recommend staying for a couple of extra days as there’s truly so much to do! I didn’t know there was an Ice Bar in Melbourne! I love these places. Thanks for the tip, Megan! I would love to visit Melbourne – preferably when the Australian Open is on! The Eureka Skydeck seem good for an adventure-junkie like me! And my daughter would enjoy the Zoo and the Sea Life. So many nice things to do here in Melbourne. I would love to try the Icebar Melbourne and see how I can handle. haha but I won’t last I think since I’m so bad at cold. Interesting to know that it’s better to just rent a car in Melbourne, in Manila, you’ll have a terrible headache when you drive your own car, actually even if you ride a cab or grab or uber. I haven’t been here but I have a friend who lives in Melbourne. Maybe it’s time to get my visa! The Icebar is a lot of fun – I also get pretty cold, so I’m definitely not going to be winning their longest lasting comp anytime soon lol but I enjoy being there for a drink or two. Unique way to spend an evening. There’s a lot of traffic in Melbourne during peak hours, so if you can avoid peak times I can highly recommend it. But because of that traffic, taxi fares skyrocket really quickly, so it ended up being cheaper for us to get a 4 day car rental than to take cabs. I was in Manila a couple of years ago and I can totally understand that there – the roads were crazy, and the traffic would definitely give me a headache trying to navigate! If you have a friend who lives in Melbourne, all the more reason to visit :D! I love how your posts always have detailed and practical information on getting around, prices, etc. 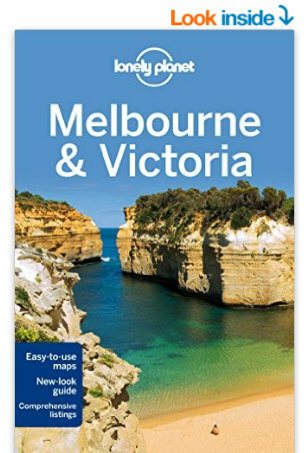 Excellent for someone like me who has never been to Melbourne before (but has always wanted to visit!). I’m really into flower/plant photography, so I think FItzroy Garden or the Royal Botanical Garden would be an awesome choice for me! Your photos are great, and I love your writing style. Thanks Jim :) Lot of fabulous spots if you’re a nature photographer – the Botanic Gardens in particular are quite expansive, so there’s a lot to see and do here. Melbourne sightseeing looks like a lot of fun. 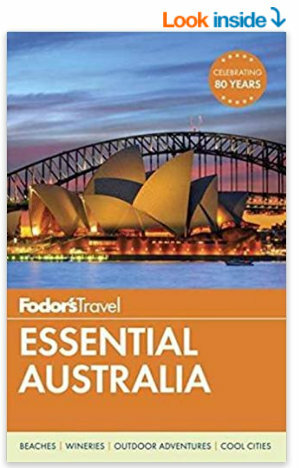 This is exactly what I am looking for because this year I am planning a vacation trip to Melbourne Australia and your blog gives me the idea of how I enjoy my trip. Thank you so much for sharing this with us. Haven’t been able to plan a trip to Melbourne yet though I have had several dreams of visiting the city! The zoo and gardens are definitely going to be in my list. Not a sports lover so will give them a pass and settle for some historical sites and museums. What about a balloon ride? Great list that helps choose among several possibilities. Glad you enjoyed the post – hope you do have the chance to visit Melbourne soon! I have yet to get myself down to Australia! Seriously, it’s been in the top 5 of my bucket list forever, but the sheer size of the country has made it difficult to even visualize myself there. As in, ‘Where to go first?’. But I think you just answered that question for me. Melbourne sounds great and has enough diversity to keep me plenty busy. Especially with an IVenture Card in hand. That’s a total score and a great tip, thanks! Oh my gosh, how do I even choose!? I guess the right answer is I don’t – I do all ten! I love the gardens. Fitzroy Gardens really stands out to me. Iceberg sounds really interesting and unique too! I’d also love to visit the zoo and check out some of that unique wildlife! It’s a bit like that! We had 4 days in Melbourne, and I didn’t feel like it was nearly enough! 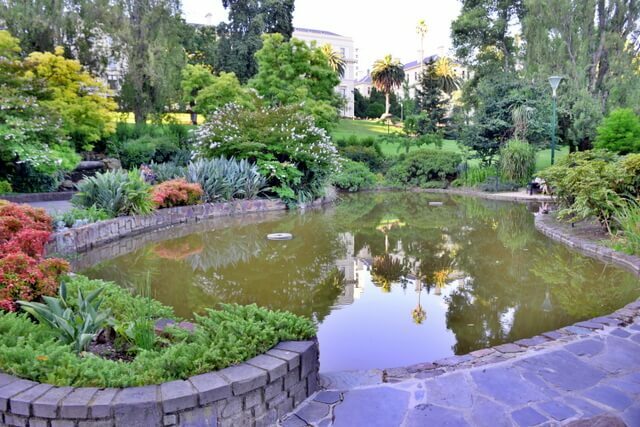 If you’re a big fan of gardens and green space, Fitzroy and the Royal Botanic are really great places to spend a relaxed day. And then any wildlife you don’t spot here you can spot at the zoo! What did Ned Kelly do to deserve his hanging? I loved my visit to the IceBar in Kiruna, Sweden. I just wish I could have taken the glass home with me. I lasted almost 12 hours in my cold room at the ICEHOTEL there. I just wish I could take the glass home with me from the IceBar. Ned Kelly was an Australian bushranger, outlaw, gang leader and convicted of murdering police officers. He’s Australia’s most famous outlaw, and has become somewhat of a cultural icon. Some people celebrate him as Australia’s equivalent of Robin Hood, while others regard him as a murderous villain undeserving of his folk hero status. His is quite the fascinating story! We made our first ‘non business’ visit to Melbourne last year and loved the city, looking at this though we only just scratched the surface! The card looks a great idea to pack more of the attractions in next time, the Ice bar is a must, we had it on our list but didn’t get there. So glad you enjoyed your time in Melbourne Toni! Yes, we spent 4 days, and even the above list only seems to scratch the surface – Melbourne is such a vibrant city with so many cool things going on. Can highly recommend the iVenture Card for your next trip if you’re looking to pack some more attractions in – Icebar is incredible fun! Personally I prefer Melbourne over Sydney, though they’re pretty on par when it comes to diversity and range of things to do. Melbourne is more hipster than Sydney, and has somewhat of a more laid back vibe. Can highly recommend the iVenture card for Melbourne (you can get one for Sydney attractions too), love city cards! 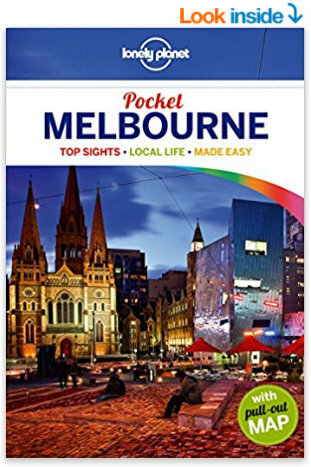 great guide to Melbourne! I didn’t know there was an ice bar. 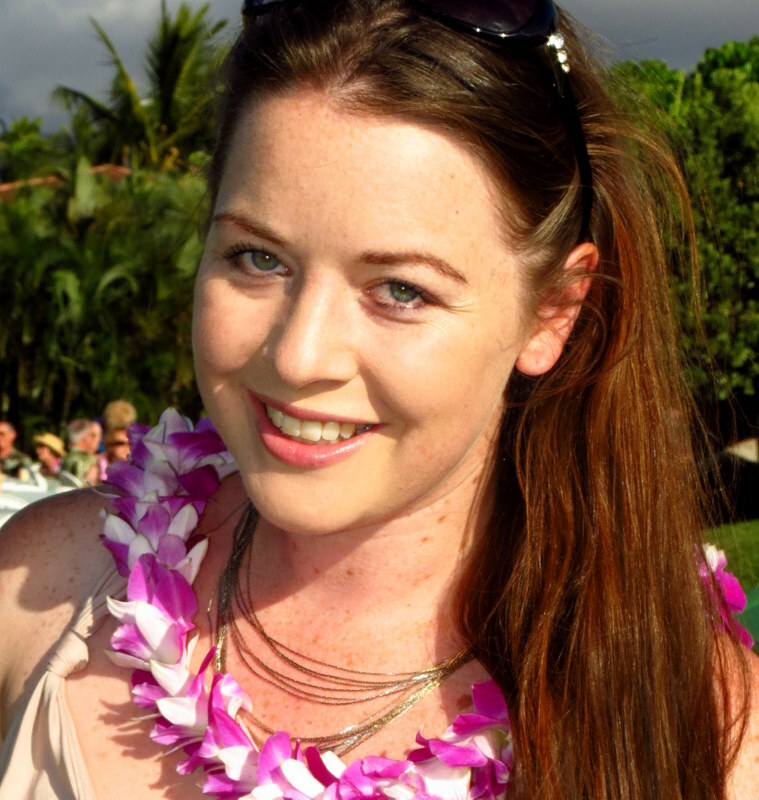 I am from Melbourne and I have still never been to the Eureka sky bar – disgrace! Will get that sorted on my next visit! I just keep hearing so much about Melbourne, but I have never visited – I have family in Brisbane, Perth and Sydney so have never had the chance to go. But I’ve heard it is cool, a bit like Shoreditch in London. Top of my list would be the Icebar and the Zoo! I loved the zoo in Sydney as a child so I’d like to visit Melbourne. It’s definitely Australia’s edgiest and most hipster city :) The next time you’re visiting family, it’s a pretty cheap flight to get to Melbourne from either Sydney, Brisbane or Perth so you could definitely do even just a weekend to check it out – can highly recommend it, we love Melbourne! Great!! i also planning to visit this place in next year.